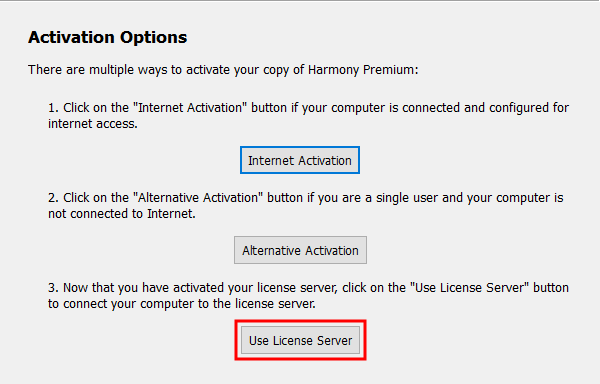 Click on Use License Server. The Server Activation screen appears. 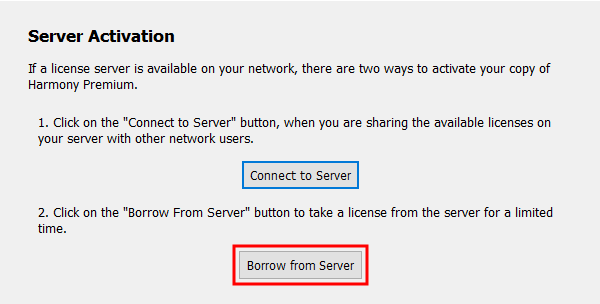 Click on Borrow from Server. The Server Activation - Borrowed License screen appears. In the License Server Address field, type in the hostname or IP address of the license server. 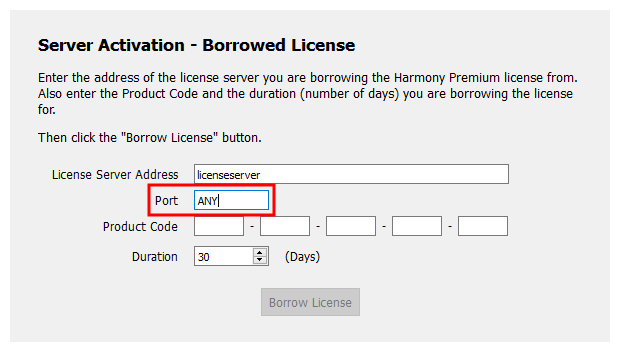 If the license server is configured to use a specific port, type in the port number in the Port field. Otherwise, type in ANY. 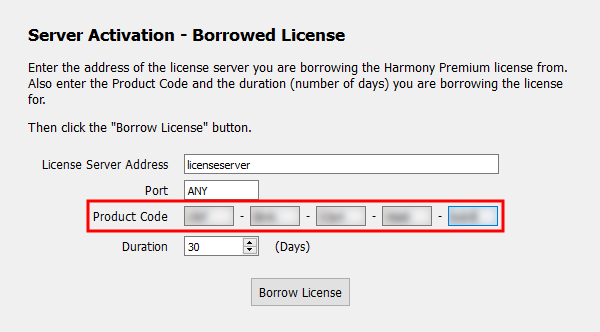 In the Product Code field, type in the same product code as the one for the license that is activated on the license server. 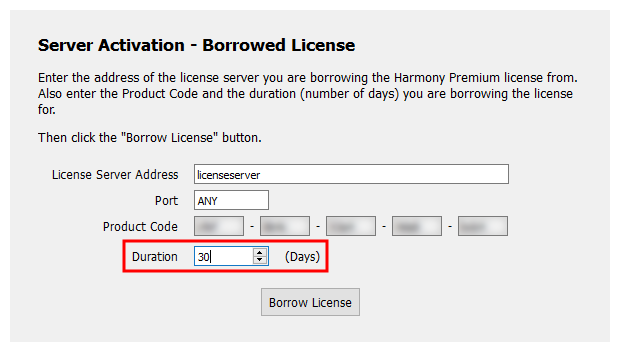 In the Duration field, enter the amount of days during which you want to borrow the license. The license will be returned to the server after this amount of days. Click on Borrow License. Wait for the license server to validate your request. Congratulations ! Your Toon Boom product is now activated. The Activation Successful screen appears. It confirms the product you activated and the date at which the borrowed license will expire. 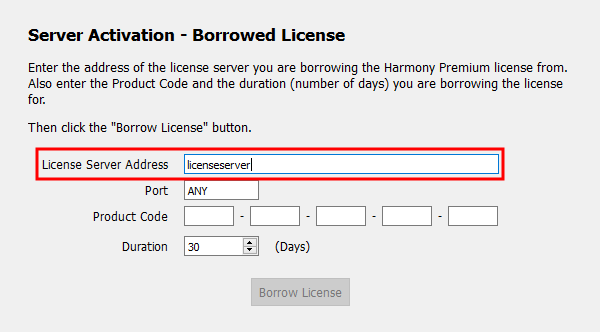 Once the expiration date is reached, the license will be returned to the server. You can also borrow a license in a terminal. This can be useful if you want to script the borrowing procedure to automate the configuration of clients.